The picture above is looking west from the Rock in Castle Rock, CO. The street crossing the I-25 freeway is Wolfensberger Rd. 1050 Topeka Way Unit I --last unit at the end of the warehouse. From Wolfensberger Road in Castle Rock, turn south on Prairie Hawk Dr. Turn right on Topeka Way. We are up the road from the vehicle emissions testing site. Look for 1050 on the left . ​We are the last unit at the end of the MaxFire warehouse. You can fly into Denver International Airport or Colorado Springs Airport. They are equally far from Castle Rock, each about 40 minutes away. For a good deal, check out Colorado Springs Shuttle ($30 to DIA; pick up at Days Inn, Castle Rock). The shuttles run between both airports during the day. The last trips are generally around 6:30 each day. There are several within walking distance of AerialWorks including Castle Inn, Super 8 (from $60/night) and La Quinta (from $100/night). SPECIAL DEAL: Mention AERIALWORKS when booking with La Quinta Castle Rock--the closest hotel to the studio--and save 5% on your stay! You may also look into Airbnb options that are close to AerialWorks. We recommend anything in the Meadows, which is a nice neighborhood that is close by. We have a spare bike that we keep around for guests. We rent it for $25/week. First come, first serve. 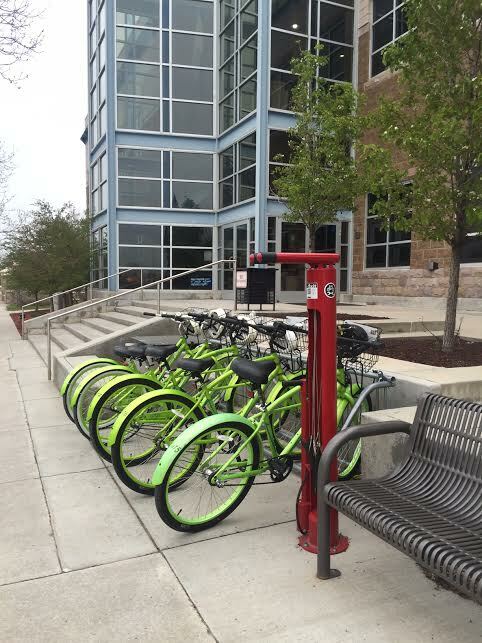 You can rent bikes for FREE for up to 3 hours around town. There are 4 pick-up locations around town. To rent a bike, create an account at ThoseGreenBikes.com. When you want to rent the bike, sign up and you will get the lock combo. The bike comes with a free helmet as well. Within about 1 mile of the studio you'll find Village Inn Breakfast Restaurant, Guadalajara Family Mexican Restaurant, Jack in the Box, Burger King, and Santiago's Mexican Food Restaurant. If you have the transportation to take you just 5 miles away, there are tons of food options near the Castle Rock Outlet Mall. Near Lowe's, you'll find one of my personal favorite places to eat Mad Greens, as well as other good places such as Mod Pizza, Jersey Mike's and more.